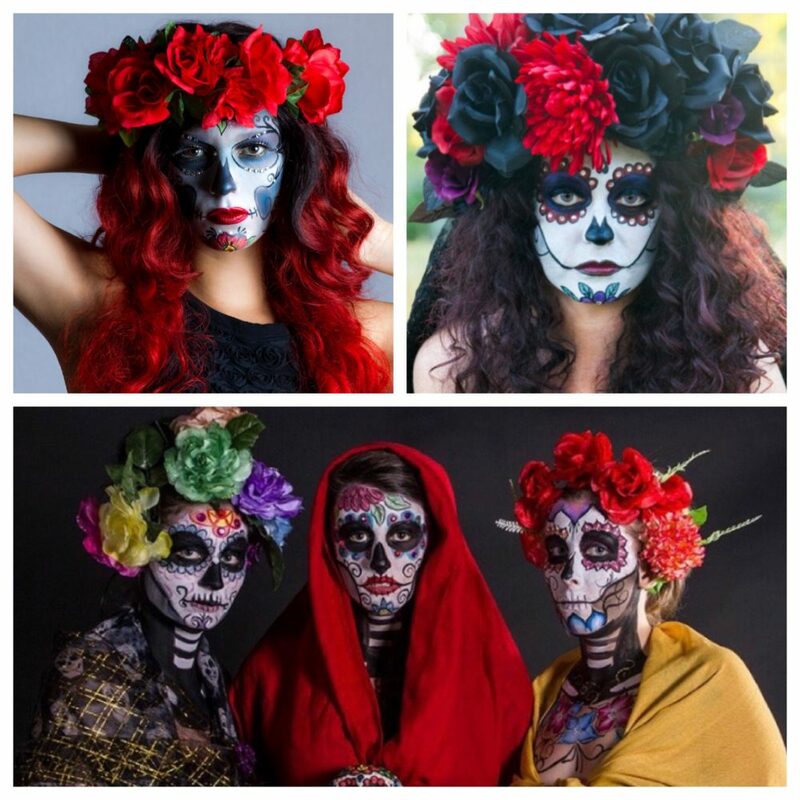 Have you admired the sugar skull face paintings in the years past and thought how cool it would be to do that on your own face? Or maybe you’ve tried to paint sugar Skulls and would like to hone your skills. Halloween & Dia de Los Meurtos will be here before you know it. In this workshop you will learn everything you’ll need to know to paint your own face or that of a loved one, friend or client. Learn the basics about which face paints and brushes to use, painting techniques, sugar skull design to create your own personalized Sugar Skull. Paint your own face or bring a friend to paint. Please don’t bring your children, this is an adult workshop – ages 16 and up. The person being painted, yourself or your “model”, must have a clear, clean face, with no make-up. All materials are provided (we will be using high-quality, professional make-ups and brushes). There will be time at the end of the workshop to take photos, so bring your camera or smart phone. There is a companion Floral Head Wreath Workshop that will teach you how to make a flower headdress to go with your Sugar Skull painting. October, 11th (Class #1018-02). Cost for this 3 hour workshop is $60 total: $40 workshop fee, plus an additional $20 materials fee, payable to the Instructor the day of class.